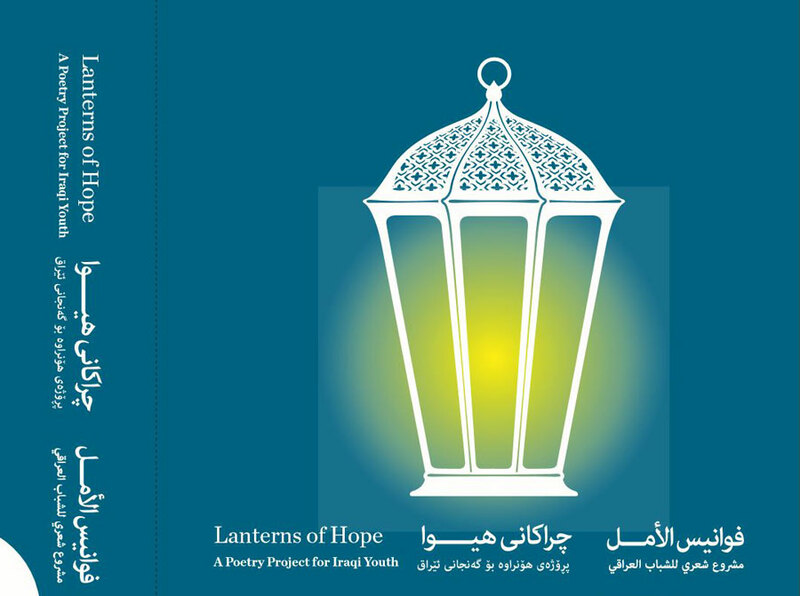 Lanterns of Hope: A Poetry Project for Iraqi Youth, launched in March of 2015, is a program designed to encourage Iraqi youth, ages 16 to 23, to creatively communicate their visions for the future of Iraq. It is seeking to make their voices heard, allowing them a say in the way the world sees Iraq, and to help give them confidence and mentorship as emerging writers. In order to meet this goal, the IWP engaged six distinguished poets—five Iraqis writing in Arabic and Kurdish, and one American writing in English and translating from the Kurdish—to act as mentors and advisers throughout the process. This local team of advisers, along with a number of literary organizations in Iraq, assisted in promoting the program and selecting entries for publication. A selection of poems was chosen to be anthologized in an e-book and printed in a limited soft-cover edition. All work was translated into English, Arabic, and Kurdish, to further highlight the value of the diversity of languages and cultures within Iraq. The project culminated in a recognition ceremony honoring all the participants and celebrating the anthology’s publication. This project is sponsored by the Baghdad City of Literature Steering Committee in collaboration with the Iraqi House of Poetry, the Union of Iraqi Writers, the Iraq Literary Review, the US Embassy in Baghdad and the University of Iowa’s International Writing Program.